After some expert internet research, I found out that this awesome shirt is made by Local Celebrity! 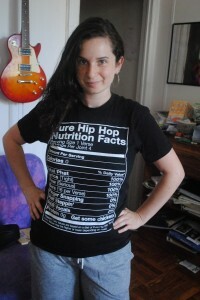 I wrote to the company and asked if I could do a review and giveaway of the Hip Hop Nutrition Facts shirt on my blog. Jordan over at Local Celebrity graciously said yes! Check me out yo! 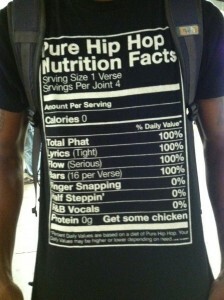 You know you want this shirt too! 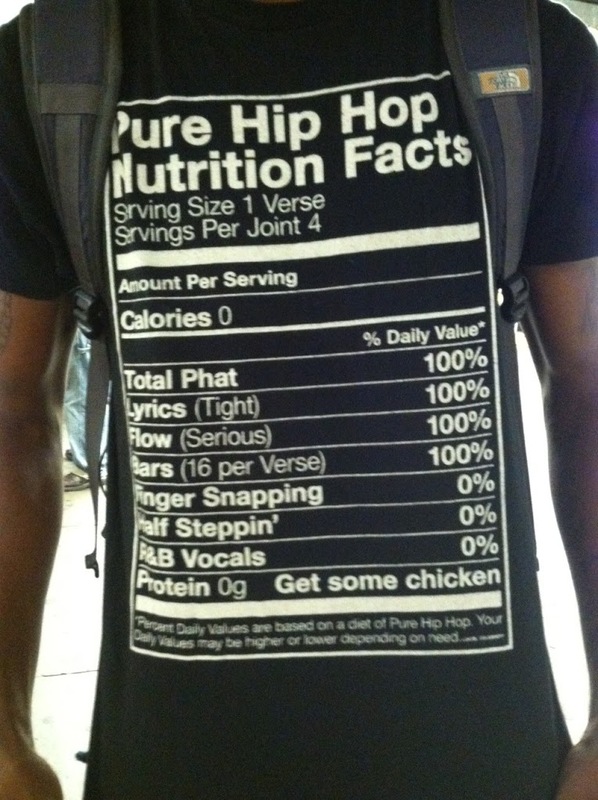 Want to win the Hip Hop Nutrition Facts shirt from Local Celebrity? Enter below! Word!